The Davis Cup carries plenty of significance this year, as Great Britain bid to land the coveted prize for the first time since 1936. They take on Belgium in this year's final, taking place on 27-29 November in Ghent, and with Andy Murray’s fantastic form, it's no surprise to see Britain the odds-on favourites for success. Murray, who has recently starred at the ATP World Tour Finals, has said that the Davis Cup has long been his priority and the lack of time between the two tournaments should cause no issues. Plenty of pressure will be on Sunday’s likely opponent, David Goffin, and with Murray having beaten the Belgian in straight sets on both occasions the pair have met (Wimbledon ’14 & Paris Masters ’15) then it looks a wise bet to back Murray to work his magic yet again. Murray lines up alongside brother Jamie, Dom Inglot, James Ward and surprise selection Kyle Edmund. Edmund’s inclusion in the initial five-man Davis Cup side raised eyebrows, and there will be plenty of pressure on his shoulders as he makes his debut in the competition. This also means there is no place for Alijaz Bedene, who has been appealing against the ITF’s ruling that he is ineligible after the British number two had previously played for Slovenia. Still, captain Leon Smith can make changes ahead of the tie – so keep an eye out to see any updates to the Great Britain team, should Bedene’s appeal be successful. Belgium last reached the final of the tournament back in 1904, and although they are yet to win the competition, they'll likely be full of confidence after a 3-2 semi-final win over Argentina. 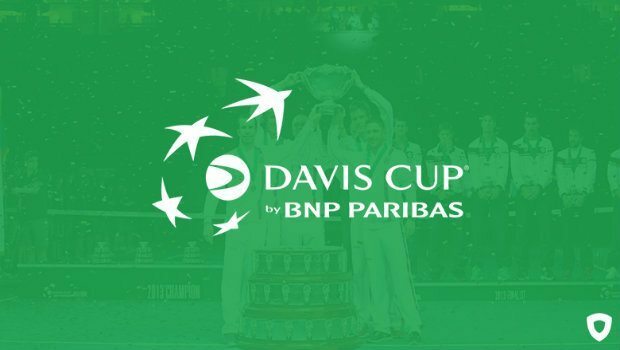 David Goffin has been the star of the show so far but Steve Darcis, who is referred to as ‘Mr Davis Cup’ back in his native Belgium, may be able to cause the British side a few problems. As GB captain Smith comments: “The team has had some incredible results this year, and we know that off the back of defeating the three other Grand Slam nations we carry great momentum going into the final, however we will ‎not underestimate the challenge in front of us. The Belgian team is full of top 100 talent and they will push us all the way." Britain lead the head-to-head record 7-4, but it was Belgium who landed the spoils 4-1 during the pair’s most recent clash in Glasgow back in 2012, so do the odds truly reflect their chances? Well, the last five Davis Cup finals have ended either 3-1 or 3-2, meaning that there might be some value in the 'correct score' market when it comes to betting. As mentioned above, Belgium's side consists of talented players and they will likely be more than confident of getting some points on the board, which suggests 3-1 or 3-2 to Britain could be worth attention at a nice price, especially given the diminishing relevance of home advantage. The 'advantage' may not be overly important, as after a spell where eight home teams won the final from 2003 to 2012, the last two victories have gone the way of the visitors. Czech Republic retained the title in Serbia, before a Roger Federer-inspired Switzerland prevailed in France last year. This should give the British side plenty of confidence – and this is certainly reflected in the odds. Still, given the ability of all five Great Britain players on clay, it's easy to see why Britain are being backed to land the spoils in Ghent. Over at Coral Sports, outright odds on Great Britain to win are 2/7, while the story is similar at Ladbrokes Sports with odds of 3/10 on Team GB. It's set to be a thrilling tournament, and those value-seekers may well search out a bet or two before November 27th, including in the 'ante-post' markets, where Andy Murray could well shorten up, should he help guide Great Britain to victory. Murray is a four-time Australian Open finalist and he could see support off the back of a big performance – more interestingly, though, a big effort on clay could see his French Open odds tumble.